Wearing the correct safety glasses can be beneficial to protecting your eyes. Sometimes when you get a pair of prescription safety glasses you see “ANSI” on the side of them…what does that mean? Check out our website www.rx-safety.com for a variety of ANSI approved prescription glasses. One of our popular frames is the Prescription Safety Glasses Model 208. This frame comes in the following colors: Black, Blue Yellow, Pink, Purple Gray, Red, Silver and Taupe. The frame itself is a stylish wrap around safety frame made of TR-90 high impact resistant plastic. 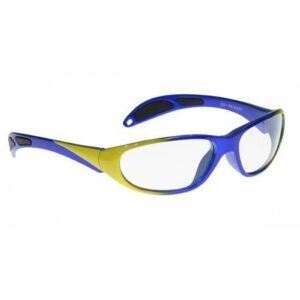 Be sure to check out our website for many other ANSI approved prescription safety glasses that are stylish and can be worn not only on the job but also out and about!